In dog show parlance, stacking is “the process of posing the dog's legs and body to create a pleasing profile.” Translate “profile” into the fashionistas' preferred term, “silhouette,” and I think you get the picture. The early 50s marks the zenith of the pageant in the U.S.: television had become the central medium of popular culture and Betty Friedan (a leading second wave feminist) was still writing for the Cosmo girl rather than critiquing her. The so-called bombshells of the era did not burn their bras, indeed they made popular the “bullet bra” (also known as the torpedo or cone bra, all terms echoing and reinforcing the bombshell metaphor) that emphasizes a prominent bosom. The use of the descriptor has gone out of fashion; one expects it only from members of the World War II generation. This may be one reason why the Fox sitcom of the same name was short lived. The obvious demographic for a show that starred Pamela Anderson is the coveted 18—34 year-old male, a group for whom the title may have seemed either unfamiliar or corny. 1. The Oxford English Dictionary Online. 2005. 3d ed. Accessed from http:// dictionary.oed.com. 2. A Beginner's Guide to Dog Shows. 2008. American Kennel Club. American Kennel Club. Accessed Aug 5 2008 from http:// www.akc.org/ events/ conformation/ beginners.cfm. 3. Uldall, Elizabeth T., and W. L. McAtee. 1954. [M?M], Etc. American Speech 29 (3):232-234. 4. Garber, Marjorie B. 1996. Dog Love. New York: Simon & Schuster. 175. 5. Harrington, Ralph. 2006. Beauty and Identity: The National Beauty Contest in Twentieth-Century Australia and America. Grey Cat. Accessed Aug 4 2008 from http:// www.greycat.org/ papers/ beauty.html. 6. Bullet Bras. 2008. Love to Know Lingerie. Accessed Aug 5 2008 from http:// lingerie.lovetoknow.com/ Bullet_Bras. Figure 1 shows a dog training for a pageant using a product called “show stackers.” The purveyors ask, “Can't get your dog to behave and stand still on the table at the shows? Does your dog stand still while he's examined by the judge?” The little stands that are under each of this Doberman's four feet are the stackers. Get them and your dog will stack up just right. The dog shown here has a fine chest, but I am not sure anyone would refer to her as “stacked.” Figure 5 shows more clearly how the stackers work. Used with permission. 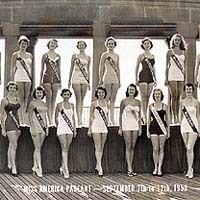 Figure 2 shows some of the contestants in the 1953 Miss America Pageant. You can see that each of these women has posed her “legs and body to create a pleasing profile.” Photographer unknown. This image is in the public domain because it was published in the United States between 1923 and 1963 with a copyright notice, and its copyright was not renewed. Figure 3 is Marilyn Monroe, the iconic 1950s bombshell, from the trailer for the 1959 film, Some Like It Hot. This work is in the public domain because it was published in the United States between 1923 and 1977 without a copyright notice. Figure 4 is a publicity poster for the sitcom Stacked, starring the iconic 1990s bathing beauty Pamela Anderson. The copyright for this is most likely owned by either the publisher or the creator of the work. I believe that the use of scaled-down, low-resolution images of posters to provide critical commentary on the production in question or of the poster itself qualifies as fair use under United States copyright law.